I am reviewing the Adidas Yeezy Boost 700 V2 Geode! The Yeezy Boost 700 V2 Geode released on March 23 for $300. The Yeezy Boost 700 V2 Geode is a mixture of brown and gray tones. Check out my review to learn more about the Yeezy Boost 700 V2 Geode, which is on sales for retail or under retail on GOAT and StockX. Hey guys — I just finished editing my first ever sneaker review! 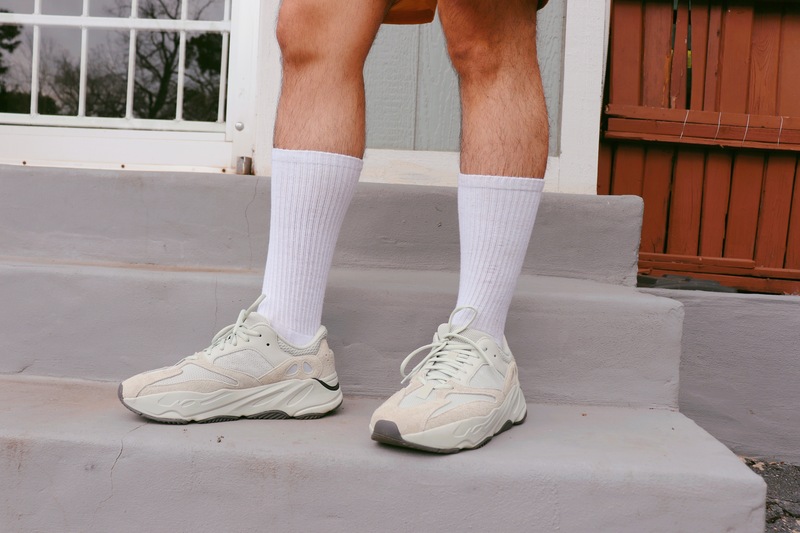 See my review on the unreleased Adidas Yeezy Boost 700 Analog! The Yeezy Boost 700 Analog has a rumored release date of April 13 for $300. The Yeezy Boost 700 Analog is a mixture of white, cream and gray tones. Check out my review to learn more about the Yeezy Boost 700 Analog. I know am late to the party, but I am officially obsessed with the Adidas Yeezy Boost 700 salt. I honestly slept on these shoes, when they went on sale. I regretted it and a few days later, thanks to GOAT, I was able to purchase them. My first impression out of the box was, “why did I sleep on these? !” Yes, it is muted color way, but it works for me. I usually stay away from all black or white tonal chunky shoes, because they can look like work shoes. However, these don’t. The salt color way falls somewhere between grey, blue and white. The muted colors makes it easy to go with almost any outfit. I used it throughout the weekend with different outfits and it worked. If you missed out on these shoes, I definitely recommend getting them off GOAT or StockX. Another thing that makes these a must cop is the fact the shoes had low stock numbers, which makes them sort of rare. The inertia color way just released and that one has double the stock of the salts. What are your thoughts on the Adidas Yeezy Boost 700 salt? I’ve become an unintentional sneaker head in the last few months and my main obsession has become adidas Yeezy sneakers. The Yeezy 700 sneaker is my favorite silhouette, and the static color way has to be the best one yet. The Yeezy 700 static just slaps. It’s a clean color way that will go with just about everything. The 3m reflective material literally makes the shoe stand out when flash or any light hits it. I paired my Yeezy 700 static sneakers with a mostly all black outfit. I started off with some Urban Outfitters black joggers, put on a Forever 21 striped long sleeve tee and a distressed lack denim jacket. The dark toned outfit went well with the gloomy weather and the shoes gave my outfit a pop. 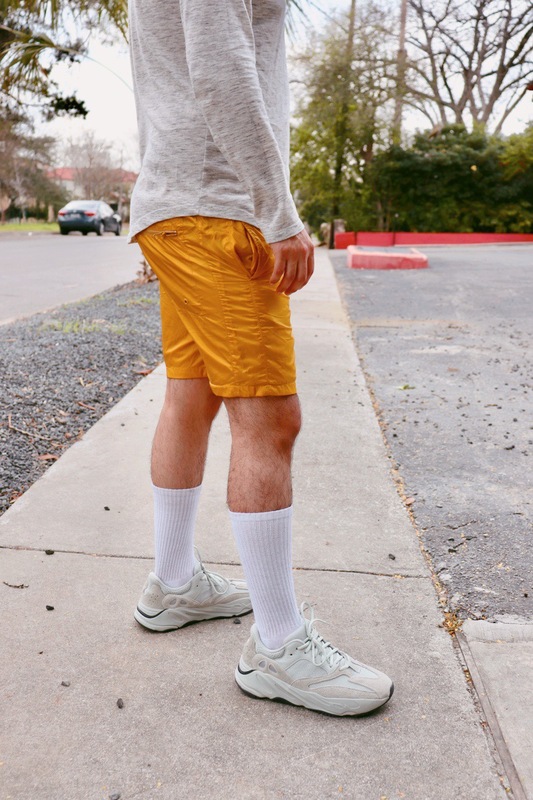 Do you ever dress in colors to match the day’s weather? This past Saturday was a gloomy day, and I felt it was only appropriate to wear monochrome colors. I started my outfit with my pants. I’ve been trying to integrate more trouser and slacks into my outfits, so I went with some checkered houndstooth trousers from Zara. 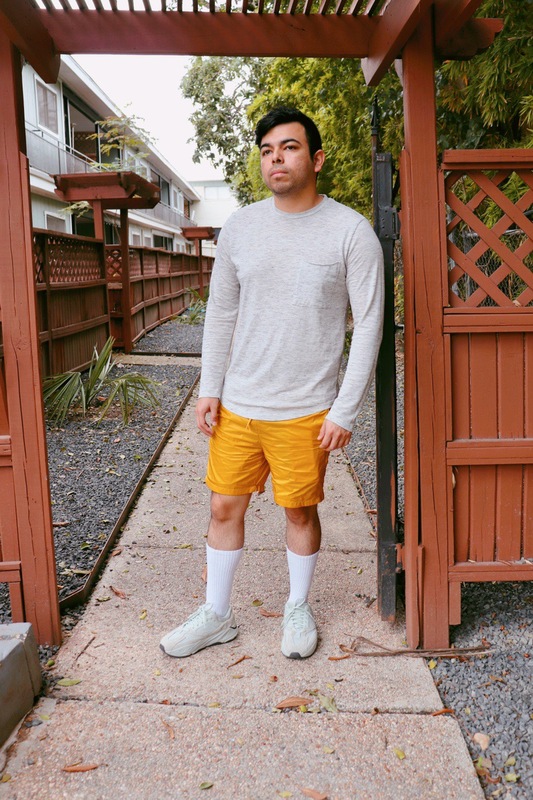 I added the hints of streetwear with an oversized black sweatshirt from Target and topped off my look with my Yeezy 500 ‘salt’ sneakers. The muted colors went with an uneventful and gloomy Saturday. It doesn’t hurt to play with fashion or to dress up, even if it’s just to go grab a bite to eat. The Yeezy Boost 700 Mauve was hyped for so long and while it didn’t sell out in an hour, it didn’t disappoint. At least not for me. The shoe has a very unique mixture of black, brown, purple and electric green. The combination sounds a little crazy but it totally works. The earthy shades are perfect for fall and winter. I paired my Yeezy Boost 700 Mauve shoes with some torn black skinny jeans from Zara and an oversized grey sweater from Target. 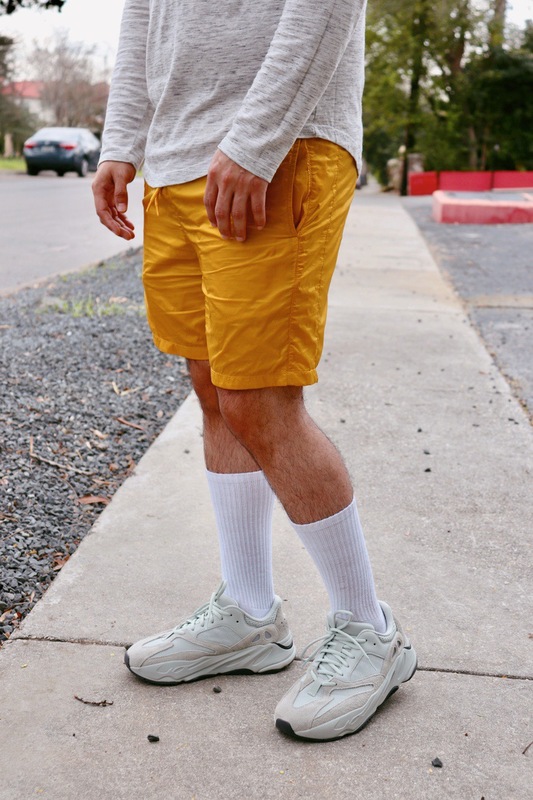 I’d usually stick to black or white shoes with an outfit like this, but the Yeezys definitely work. Do I love these shoes? Yes. Do I think people who were turned off by the colors missed out? Absolutely. The 700 silhouette serves the chunky dad shoe realness that’s in right now. While the color is typical, that’s what makes it a must-have! What are your thoughts on the Yeezy Boost 700 in Mauve?